The term “Family Tree” used to be a figure of speech, but thanks to a new burial method pioneered by a company called Capsula Mundi, you may soon be able to purchase an actual family tree—the kind with branches and leaves! Capsula Mundi is the brainchild of Italian designers Anna Citelli and Raoul Bretzel, who realized that redesigning the traditional coffin could help bring modern society closer to nature. It’s no coincidence that their new organic burial pod is shaped like a seed. 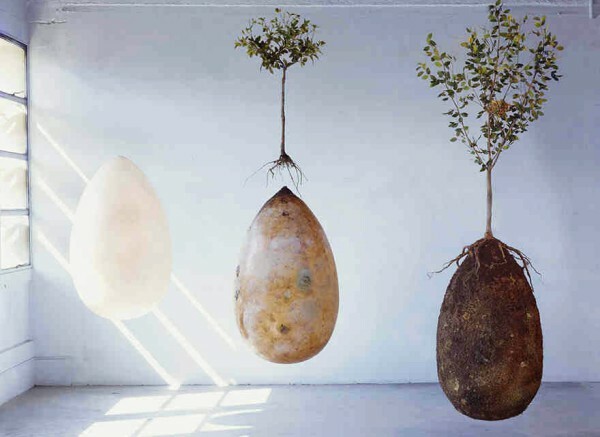 After the deceased is placed in the burial pod, it’s encased with an actual seed that will use the body’s nutrients to grow into a tree or shrub. 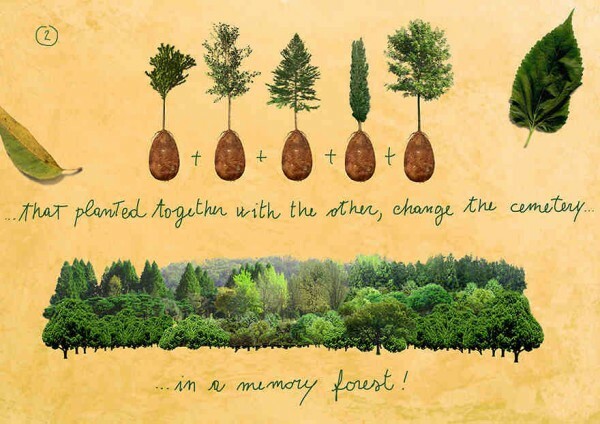 Capsula Mundi encourages customers to choose a tree that carries meaning for the deceased. Their website even provides information on the trees they offer, describing not only the plants’ flowers and fruit, but also its symbolism and lore. While the burial pod looks cool and contains all kinds of life-affirming symbolism—like the death-as-rebirth metaphor inherent in the egg-shaped design and the body’s fetal position inside—Capsula Mundi’s biggest draw is the fact that it’s eco-friendly. While thousands of trees are cut down each year to make wooden funeral caskets, these burial pods grow new trees. 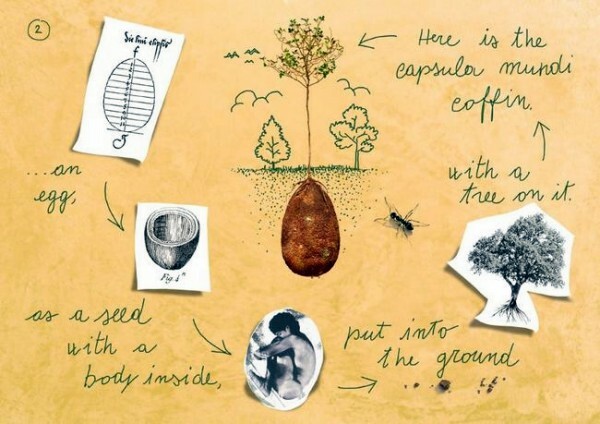 While traditional Western burial methods do everything possible to keep nature at bay, Capsula Mundi pods are designed to transfer the body’s nutrients to the soil. This type of burial also keeps the land available for re-use, and doesn’t create caustic emissions, as some cremation methods do. You won’t find harsh embalming chemicals with this type of burial, either. The starch-plastic pod is designed to break down quickly to let nature do its work. 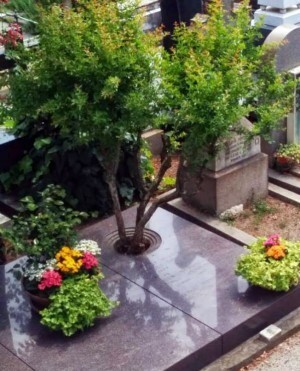 Although this burial method is currently illegal in many countries, including Italy, if it catches on, cemeteries could become serene “memory forests” where each tree represents a human life. Husbands and wives and parents and children could all stand together as a thriving grove of trees that will provide a peaceful place for their descendants to visit. Cemeteries would have a very different atmosphere from grim marble headstones and towering mausoleums. Capsula Mundi’s so-called memory forests might even provide much needed green spaces in sprawling urban environments. And who knows? Maybe someday, memory forests will be a favorite place for city-dwelling yogis to practice outdoors. What do you think? Would you “go green” (literally) with a Capsula Mundi burial pod?